As 8% of male population and around 0.4% of female population have some type of colour blindness, we decided to test both GUI application and graphs produced by the R package via colour the blindness simulators “Sim Daltonism” and “Color Oracle”. As a result, some colour changes have been implemented to the code in the R package, while the graphical interface has not been changed due to distinctive hues of different functional buttons (see the screenshot). 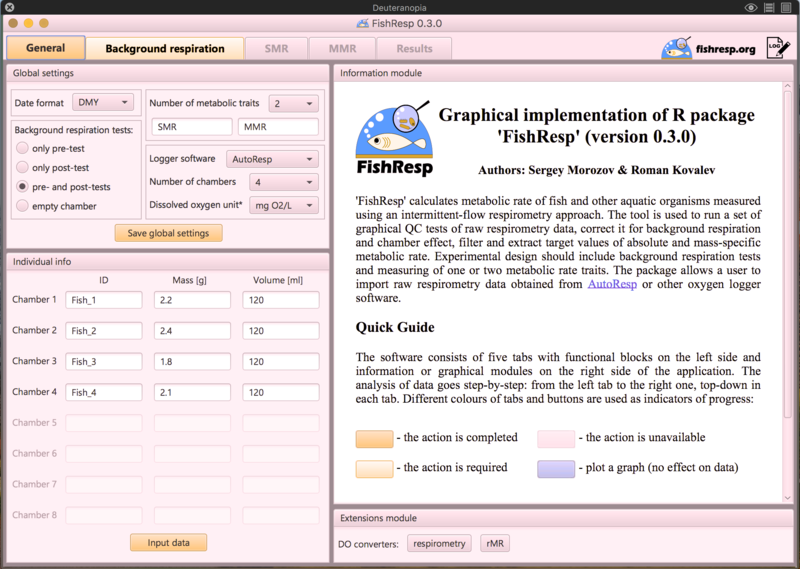 We thank the anonymous reviewer of our manuscript devoted to the FishResp software for sharing this idea.